Foodie, artist, athlete, or socialite ? 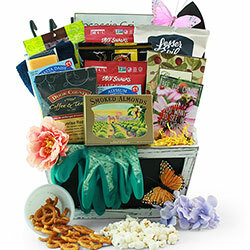 whatever her personality, you can find a perfect present for someone special in our wide selection of womens gift baskets. 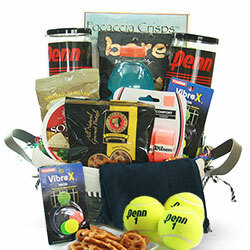 Each basket is full of a variety of items that complement each other, making it the gift that keeps on giving. 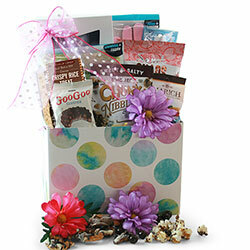 Make it Personal - A Gift Basket She Will Love! 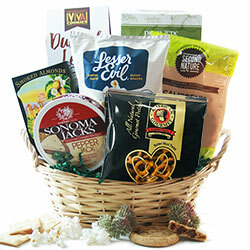 Is the friend you had in mind for a gift basket a little picky? 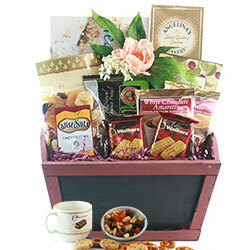 Or will your mom send you on a guilt trip if her gift isn’t personalized enough to make her feel special? 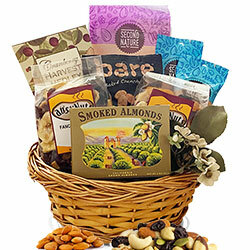 We understand, and that’s why we offer more than our standard gift baskets for women designs. 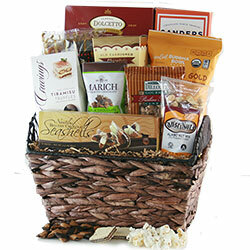 You can create your own custom gift basket for that special lady you had in mind using our Design It Yourself System: Custom Gift Baskets for Women. 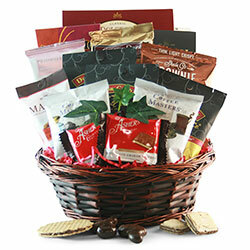 It’s easy and will make it obvious how much care you put into choosing the gift. Who runs the world? Girls. 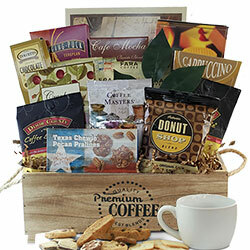 Your mom, sister, best friend, or wife does a lot for you and one of the best ways you can show some love and appreciation is with a gift basket, full to the brim with all her favorite things. 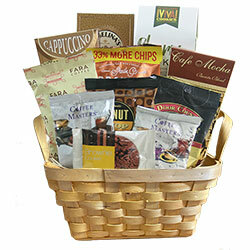 It’s the perfect surprise to get someone energized for another day of of running the world. 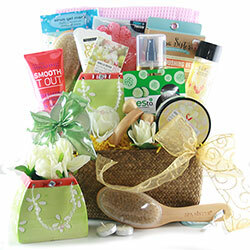 Start thinking about gift basket ideas for women you care about by browsing the options on our site. 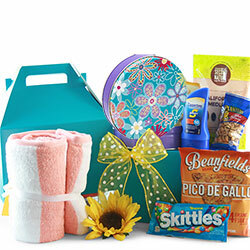 The Serenity for Her Relaxation Gift is a consistent favorite with vanilla orchid body mist, a gel eye mask, a wooden massager, and delicious Belgian biscuits. 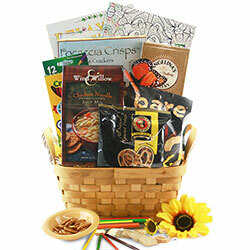 For the creatively minded, try the Art Therapy Adult Coloring Book Gift Basket. 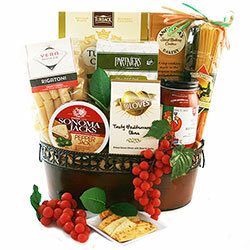 It contains two coloring books, colored pencils, Tuscan-style crackers, and more gourmet treats to help her find her muse. 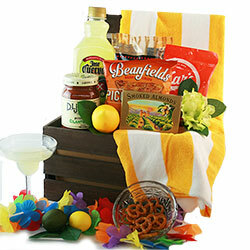 Or how about you buy a lady a drink? 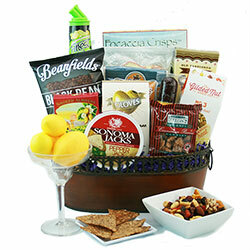 Margarita Craze Margarita Gift Baskets give a woman the perfect reason to celebrate with margarita mix, gourmet nuts and crackers, and several savory treats. 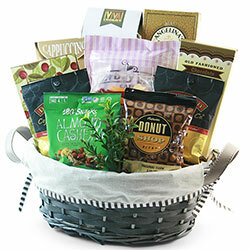 If none of our standard Gift Baskets for Her designs seem to suit, you can also have some fun and design your own. It’s all done online in just a few easy steps. 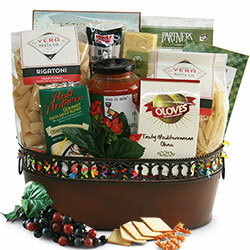 Start customizing your gift basket(s) by selecting a theme, such as Italian Lovers, Spa & Pamper, or Wine Enthusiast. 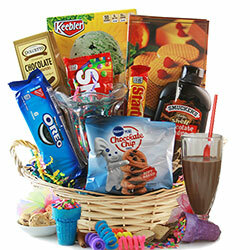 Once you’ve chosen a theme, you select a basket size and price range. Next is where the real personalization begins. 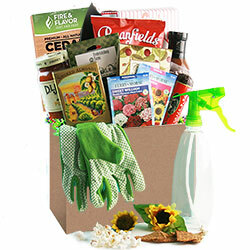 You select the container for your gift basket and products to fill that container, which are organized into categories to make it easy. 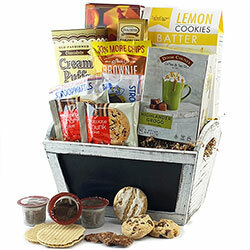 From gourmet food to sweet, sports products to decor items, each product will fit your theme and be a complementary part of the complete package. 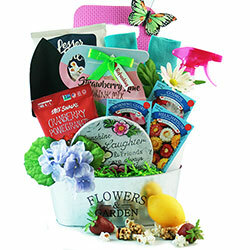 There are lot of womens gift baskets to choose from, and sometimes it can be hard to narrow down the choices. Think about this lucky lady’s personality - is she a caffeine addict? 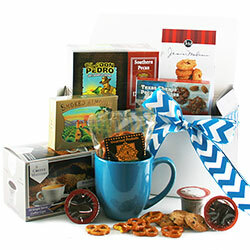 The Coffee & Cookies K-Cup & Cookie Gift Basket might be just the ticket with its box of K-cups (your choice), chocolate wafers, and shortbread cookies. Or maybe it’s less about lifestyle and more about life. 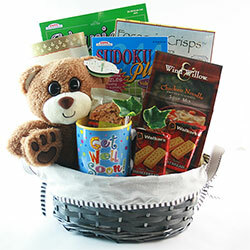 If someone you know might appreciate a big hug, send her the Bear Hug Gourmet Gift Basket complete with a teddy bear, refreshing tea, and chicken noodle soup. 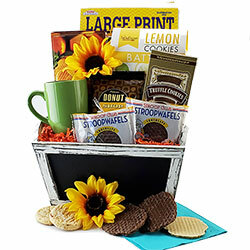 You can also include add-on items to each gift basket to make it extra special, such as mylar balloons, coffee mugs, picture frames, and more.